I have some very exciting news. 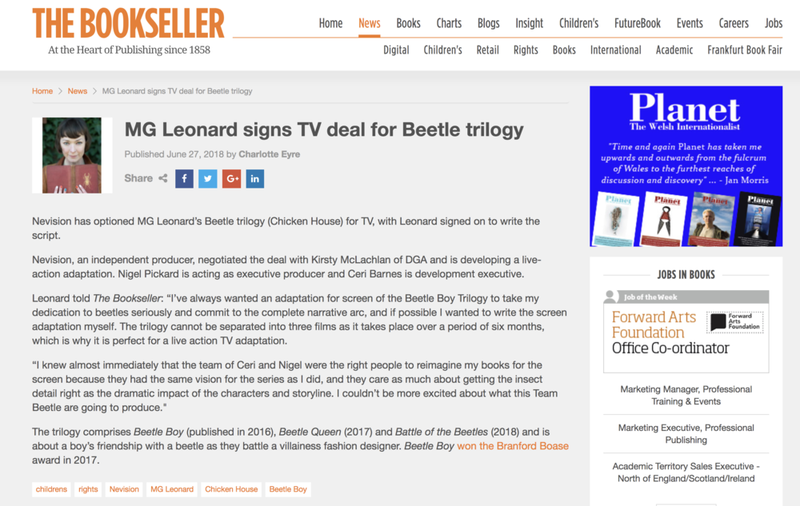 I am delighted to be able to announce that my beetle books have been optioned for TV. And, even better than the news that they will be coming to your home screens in the near future, is that I am the screenwriter on the project. I will be ensuring all your favourite characters, both human and coleopteran, burst onto your screen in true dramatic style, like they do in the stories. I am so excited about the production team on this project. Watch this space for news and further updates.